Dubai still feels like a ghost town, with residents travelling the globe in hope of cooler climates (don’t go to Europe –there’s a heatwave). Thus our weekly dose of style inspiration has dried up with the Dubai summer, as we’ve had to follow Dubai’s style stars abroad for a glimpse into their holiday wardrobes instead! Flights and fashion go hand in hand, as this summer fashionistas of Dubai have given us a fresh insight into holiday dressing with looks that should definitely be brought back to the desert. 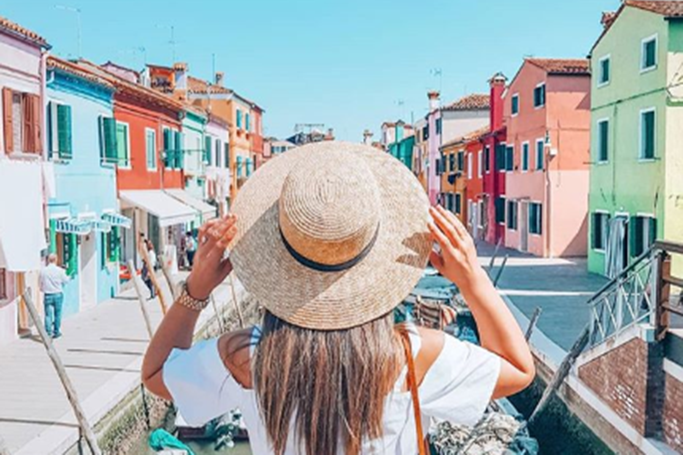 Serving us with some serious style and wanderlust goals, these stylish ladies have been tagged in exotic destinations, chic cities and idyllic islands around the world. Could we be more envious? From prints in Paris to lavender in Lisbon and vintage in Vienna, Instagram has helped to capture some of the summer’s hottest trends. As, here is your holiday wardrobe inspiration from Dubai’s style stars on Instagram. P.S. if you want to be featured in ‘Dubai’s Best Dressed’ tag @ewmodauae when your outfit is worth sharing!